There is hardly a dull moment in dear Mother Lanka. The country has a plethora of unsolved problems; yet. it has time and opportunity to witness the comedy drama that politics is, over there.This time, it is the furore over the President’s apparent decision to give nomination from the UPFA to his arch rival, Mahinda Rajapaksa. Mahinda fans and parasites went jubilant. As when a wicket falls on the opposite side how the fielding side flock around together in the mesmeric moment Mahinda’s men went overboard and even made announcements that President Maitripala Sirisena would be on the stage with Mahinda at the planned Anuradhapura bring-back rally. Veteran Mahinda-supporting journalists like H. L. D. Mahindapala jumped the gun,like a novice in the game, to declare that Ranil and the hundred Days program is finished. Mahindapala’s emotional amygdala hijacked his reason. The euphoria soon fizzled out when it appeared the story had been too good to be true. On the other hand, the more articulate of the sixty-two lakhs that voted under severe pressure for Maitri on January 8th couldn’t believe their ears. Trade Unions and civil society organisations took to the streets. Despondency crept their ranks and the desperateness they had got reflected in the abuse of Maitri on social media. One Facebook joke was that Maitri had had surgery removal of his spine! The man who originated that canard was probably ignorant that if the spine of a person is removed that individual is as good as dead. Maitri was not quite dead. On the evening following the night of this “decision” he addressed a crowd at Matara and vociferously announced that he would never let the soft revolution of 8th January get diluted and that he will never permit family rule again. Maitri has since sharpened his controversial position. He now states he is giving only “conditional nomination,” to Rajapaksa and also that he would not give nomination to many of the latter’s former Parliamentary cronies. This meant the isolation of Mahinda Rajapaksa. 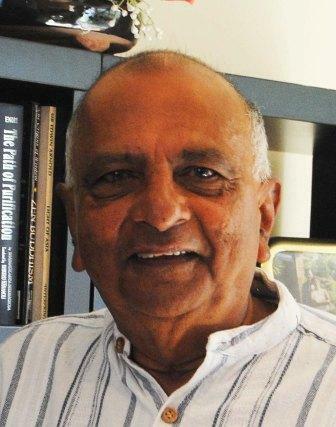 Maitri is also of the view that Rajapaksa will not get SLFP nomination; which means the High King will have to get on stage as a nominee of one of the one-man parties like the MEP or Vasu or Gammanpilla. The JHU has already left the UPFA and renamed itself sans racial connotations.The rumour machine says CBK will lead the SLFP campaign. If this does occur Mahinda Rajapaksa will be totally isolated and compelled to wear the shell of the UPFA. The rumour mill also states that Mahinda will contest on the symbol of a budding flower. Mahinda Rajapaksa’s budding days are clearly over. 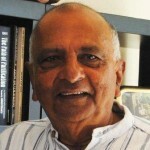 Maitri’s decision is also that he will have to confine himself to Hambantota and not lead the UPFA campaign; nor is he to be made a Prime Minister in the event of the UPFA winning. It is doubtful if the latter stipulations can be put to practice. How is he to prevent Mahinda Rajapaksa from wresting control of the campaign?In the event of Mahinda winning along with the UPFA he will ruthlessly seek to pressurise Maitri by expanding on his number of MPs via purchase from the opposite side. We know Mahinda too well to discard such a possibility. We also know he is a revengeful enemy and that he can be cruel (e.d Sarath Fonseka). His speech at Medamulana recently showed what hate language was. One could notice his body language and the vairaya (hate) If by any chance he is able to win along with a majority of MPs you can be sure the counter revolution will be complete and that many of the revolutionaries will be jailed or missing. This would be the opposite of what happened during the French Revolution of 1789. Mahinda will re-define the revolutionaries as conspiring agents of Western powers that are out, for some unstated reason, to ruin Sri Lanka. 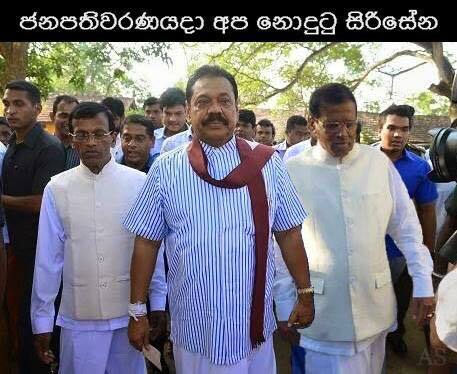 That is the personality of Mahinda Rajapaksa. If one needs to have an example of the opposite of a Nelson Mandela one could look at Mahinda Rajapaksa. Under such circumstances, Maitri, if he is not assassinated, will have no option but to accept Mahinda as PM. There is also the question of the legality of Maitri’s threat not to give nominations to those charged with fraud. A charge is a charge and the accused are presumed to be innocent until those charges are proved. To counter this position there is the captain’s legitimacy in picking who would lead the team. That is a subjective decision. One is in a conundrum here. What surprises me in all these moves and counter moves is the silence of the UNP and its leader Ranil Wickremesinghe. Ranil hasn’t spoken a single response -word. We also know that Ranil and Maitri are in the best of terms. Given these premises are we to infer that his entire episode is a sham? Has Mahinda Rajapaksa been already trapped as he was at the Presidential Elections when the Common Candidate was announced? We will know in the next few days. Until then best of luck, Sri Lanka!